Waterloo Regional Police are experimenting with using a drone to help in missing person searches and car crash investigations at a cost of $94,123. Waterloo Regional Police are experimenting with using a drone to help in missing person searches and car crash investigations. The drone, also called an unmanned aerial vehicle, will cost $94,123. That includes training through the Waterloo Wellington Flight Centre, insurance, a one-year warranty and the actual cost of the drone — which was $83,699. The force believes that's money that will be easily recuperated in just over a year. "It is estimated that the use of an UAV will result in an annual cost savings of $79,050, (i.e. collision scene surveying: $7,000; collision aerial photography: $6,600; missing person searches: $65,450)," according to Police Services Board minutes. The savings will come from reduced people-hours, said the board report. Currently, officers take two to four hours to survey a collision scene. Using a drone, the same work would take 15 to 50 minutes. For missing persons cases, the report said drones are faster and more efficient than officers on the ground searching large open areas, can be used to search in areas inaccessible to officers on foot and are much cheaper than using a helicopter. It will not be used for surveillance without "judicial authorization and completed Privacy Impact Assessment." 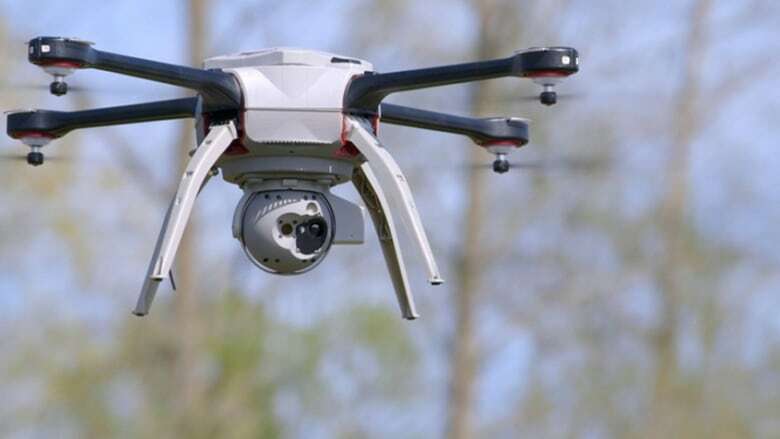 WRPS will initially train five officers on how to use the unmanned aerial vehicle, which will be a SkyRanger purchased from Aeryon Labs, of Kitchener. According to Police Services Board documents, the drone was to be purchased in February with an expectation it will be fully operational in May, 2018.